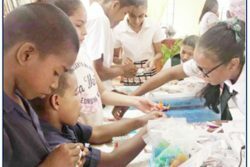 Kwakwani is a struggling, underdeveloped community, a poignant example of the fact that the pace of development has not been anywhere near even across the various regions of Guyana. 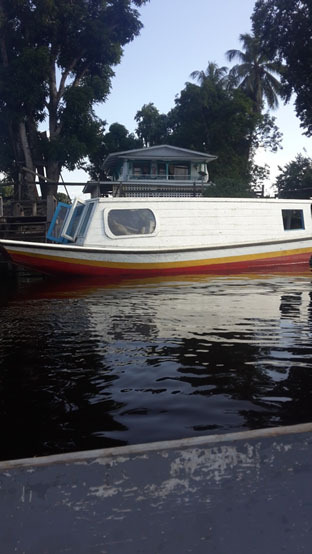 Paulette Rouseff’s mobile supermarket, a covered boat that traverses riverain areas like Gateroy, De Veldt and Torani is an example of reality that is dictated by circumstances. 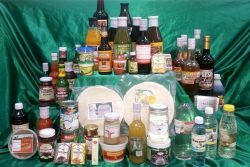 Rouseff offers clothing, kitchen utensils, ground provision, fruit, cosmetics and a variety of other essential goods to consumers for whom this service is a lifeline. Some of these communities are at least 50 miles away from the nearest township, New Amsterdam. On Thursdays, she makes the journey to those waterside communities to keep her customers supplied. 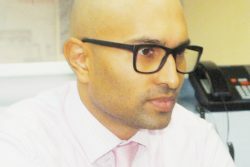 The size of her client base and the weakness of the economy in the Berbice River does not allow for any meaningful expansion; in business terms, it’s a borderline existence. Rouseff’s customers are farmers and loggers with modest incomes. Because her own economic interests are inextricably linked to theirs, she is compelled to understand their way of life. Both the loggers and the farmers, she says, are facing tough economic times. Within the last year and a half the market for logs has grown acutely sluggish. The farmers are being affected by the falling prices for their produce triggered mostly by what, frequently, is a glut of farm produce at the New Amsterdam market, the only viable outlet for their goods. On Saturdays and Sundays a boat docks at a location in the river to collect farmers and their produce to transport them to New Amsterdam. That too, is a lifeline. If you miss the boat there is simply no way to compensate. Nor is Rouseff’s the only mobile supermarket trading on the river. During a visit to the area just over a week ago we saw other boats trading in the river, at different points. Most of the boats sell groceries to the farmers and, in turn, purchase farm produce from them. Rouseff had followed her parents into farming at an early age. After she had completed her education at De Veldt school and got married she continued to farm. She opened her supermarket after she divorced her husband. After a while, buyers began to visit the riverain communities. That changed the balance of power. Prices became an issue. The crops cultivated in the Berbice River include ground provision, plantain, pumpkin, red bean, pineapple and banana. Kwakwani is the final outpost on the Berbice River. 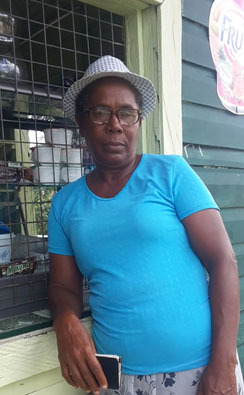 Every week four or five vehicles from other parts of Berbice, Linden and other areas would make a two hour (or more, depending on the state of the road) drive to Kwakwani to sell ground provision and cash crops. Some Kwakwani residents believe that growing crops might be a lucrative economic pursuit for the community. The problem, they say, is the anticipated controversy between crop farmers and cattle farmers. There have been clashes in the past and the police have become involved. Years ago, this newspaper was told, grazing grounds were allocated in an area known as Worrel Park. 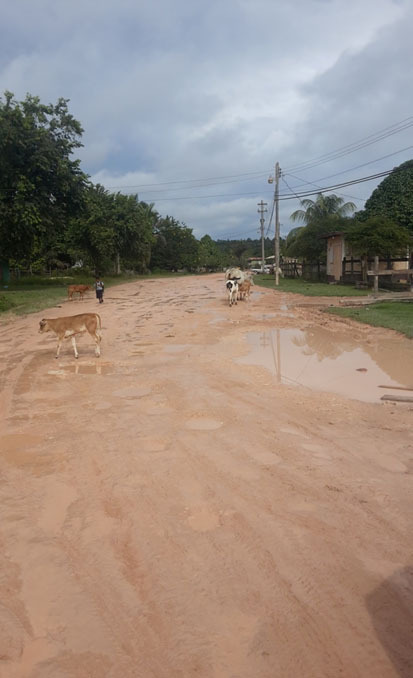 Part of that land now accommodates dwelling houses and, these days, cattle have become indiscriminate occupants of the streets. The community appears to be pinning its hopes for a solution on the fact that a new council is now in place.